other signs of occupation habitually created by property owners over a period of time. Shown is an actual survey from our file. Ironically, the name of the road is Sunny Lane. All is peaceful. There is a nicely manicured yard inside a chain link fence which surrounds the property (See Figure 1 left – clicking will enlarge). There are no apparent disputes. 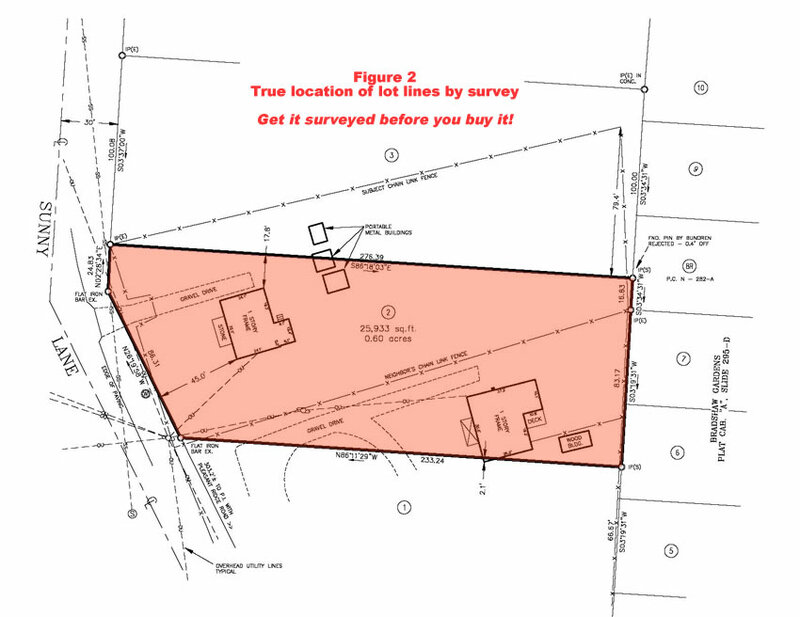 The property owner orders a survey, the results of which are shown at right (Figure 2). All is not sunny on Sunny Lane. 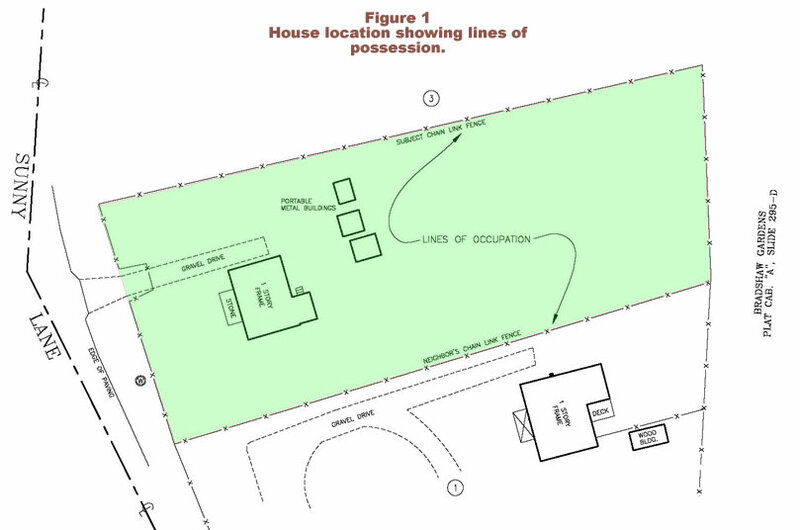 Note that the adjacent house to the south is almost wholly located on the subject lot. Here is one more good reason to obtain a survey when buying property. Do not trust your eyes and remember – Title Insurance does not protect the buyer against defects that could have been found by obtaining an accurate survey.